The Carp Garlic Festival will soon be here and we are looking forward to inviting everyone for 2 days of presentations on growing, braiding, tasting and using garlic. Lots of garlic will be available for sale, either as braids or loose, fresh or processed. Look for garlic in everything from bread, pickles, ice cream, soup, kombucha, dips, and so much more. 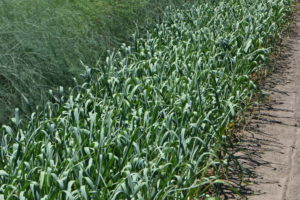 The garlic crop is looking very good, and all our garlic growers have started to harvest and cure. So save the date and come on down to the Carp Farmers’ Market Saturday August 11 or Sunday August 12 for one of Canada’s largest and best Garlic Festivals.